Embrace the awe-inspiring natural beauty of your surroundings‚ and set the stage for a visit you won’t soon forget. 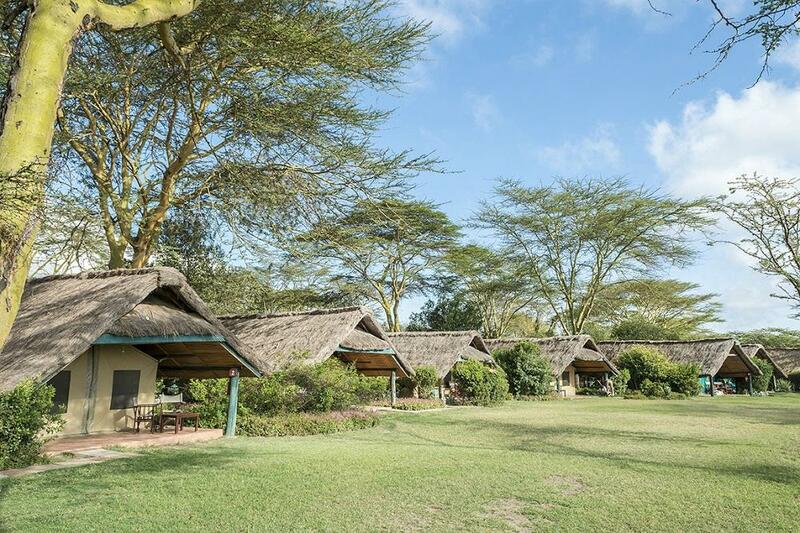 Located within the sprawling Ol Pejeta Conservancy‚ one of Kenya’s most noteworthy conservancies and home to the ‘Big Five’ (elephant‚ rhino‚ lion‚ buffalo and leopard)‚ Sweetwaters Serena Camp offers a holiday experience unlike any other. Arrive at Safarilink lounge‚ Wilson Airport for your scheduled morning flight to Nanyuki. The flight is approximately 40 minutes. Upon arrival at the airstrip‚ you will be met by a driver/ guide then depart to the Ol Pejeta wildlife sanctuary and proceed to Sweetwaters Tented Camp for checkin and thereafter lunch. After lunch you will depart for a late afternoon game drive. Early morning game drive conducted in 4×4 vehicles and accompanied by an experienced driver guide. Also game walks accompanied by resident naturalist‚ night game drives are also available and many other activies. Enjoy your final day after the morning game drive‚ you can relax as you wait to be tranfered to the airstrip for your flight back to Nairobi.